In the spring of 2002 Dom & Leslie Fiocco began meeting with two other families to pray about planting an evangelical church in the south of Canberra. Between the 3 couples they had 8 young children. Under God’s leading they started Woden Valley Bible Church (WVBC) in a lounge-room on a Saturday afternoon. 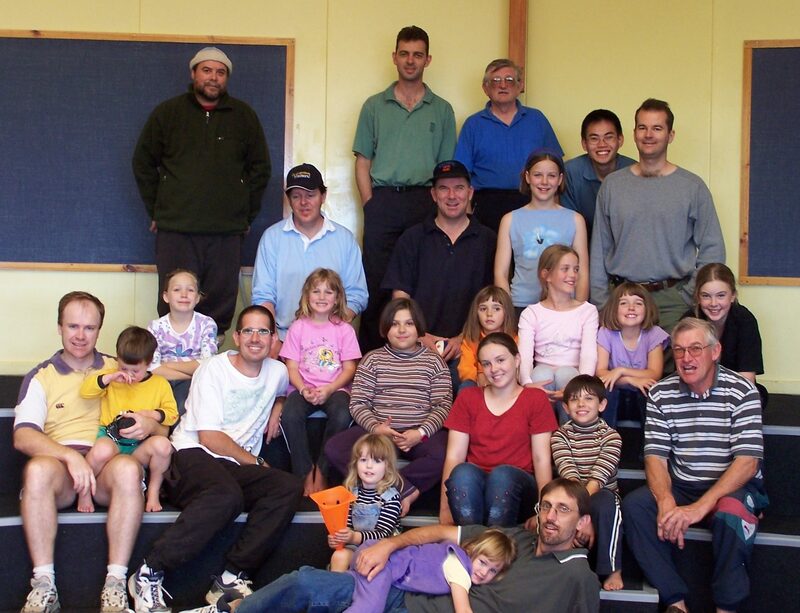 In February 2003, WVBC went public at Garran Primary School on Saturdays at 5pm. The church began with around 14 adults and 12 children. We continued to meet on Saturday evenings, seeking to reach people not already gathering in churches elsewhere. Many outreach events were organised: kids clubs, women’s events, invitations to church, letterboxing and Christianity Explored groups. Despite growing slowly, we were convinced this was what God wanted and continued to pray and reach out with the Good News of Jesus. Through this time we witnessed God’s Spirit at work and saw people who were “de-churched” and disconnected from community join us. We grew to around 35 adults and children. Some were new Christians, some had re-entered church life after many years in the wilderness, others had connected with us through our workplace ministries. Our community was characterised by a special “family feel” as everyone was connected in small groups and hospitality in people’s homes was a common event. The church also began to look multi-ethic, with Singaporeans, Malaysians, Indians, Filipinos, Sri Lankans, Americans and Aussies meeting together. God’s people were growing together in love and Gospel unity. In 2007 we stepped out in faith and employed a second pastor (Chris Nelson). Employing another Gospel worker created more opportunities for Gospel ministry and outreach. 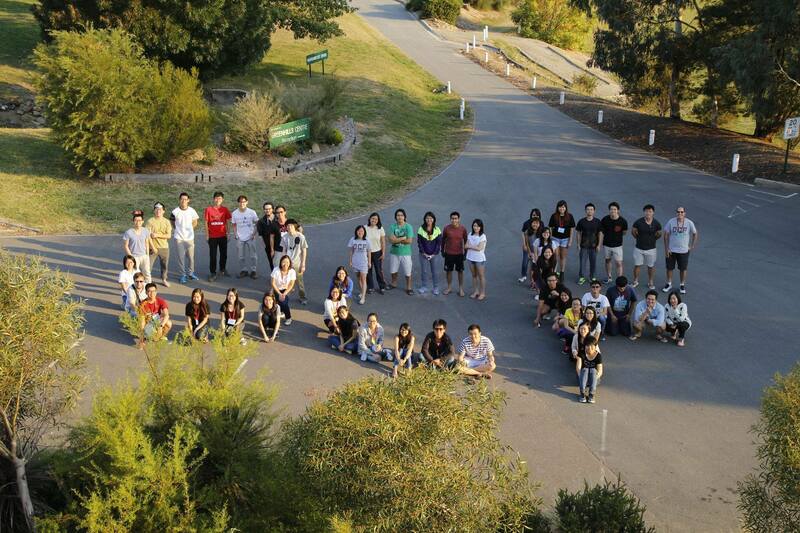 Under God we grew with international contacts through Overseas Christian Fellowship (OCF on ANU campus) and a number of young adults. 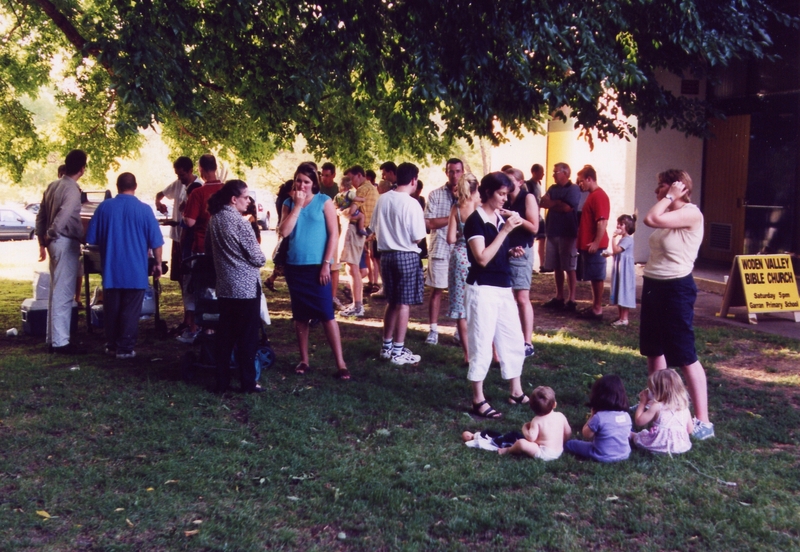 In Spring 2007 we planted a Sunday evening church called Café Bible Church. By late 2007 we relocated to Hughes Primary School. In 2009 we employed our third Pastor (Phill Evans). It was another step of faith as we sought to broaden our outreach and ministry. Under God, both Saturday and Sunday gatherings were growing in number and maturity. Two new Ministry Apprentices were also brought onboard to help us proclaim the Gospel of Jesus. We became a strongly multi-ethic community united under Christ. 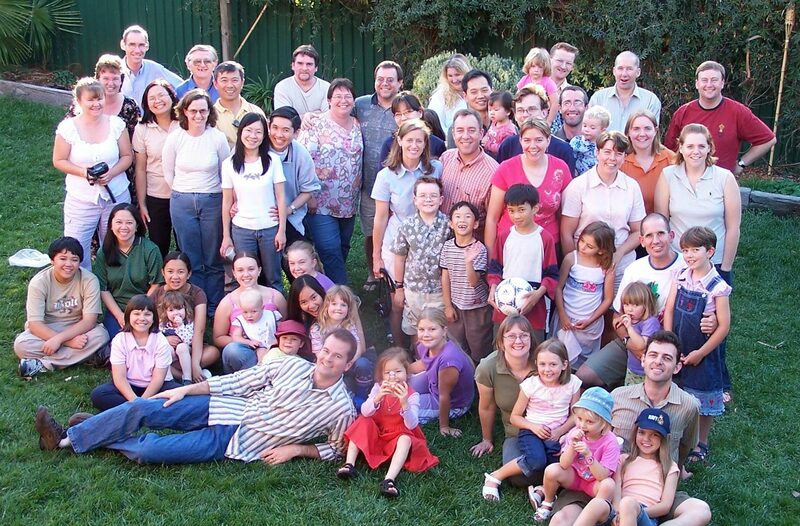 In February 2010, Dom led a small church planting team of 10 adults and 8 children in starting Lakeside Bible Church. 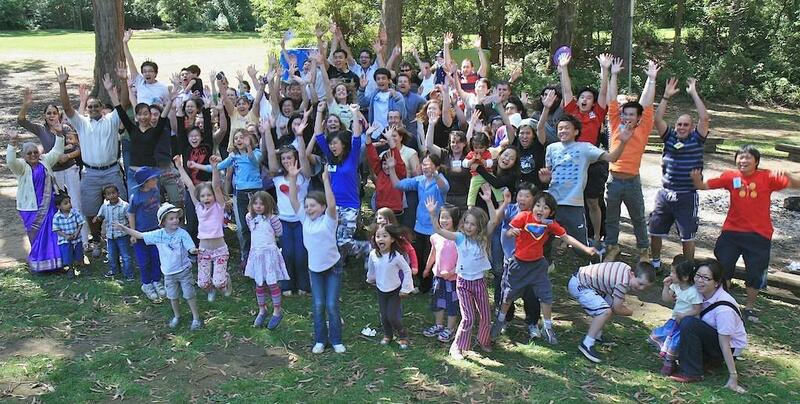 Under God this new church plant grew rapidly through conversion growth, people coming back into churches after decades away, and locals in Narrabundah and Griffith (Inner South Canberra). We continued to meet on Saturdays at 5pm in Hughes Primary School, with Dom, Chris and Phill sharing the ministry load. Lakeside Bible Church started meeting on Sundays at 10.14am in Narrabundah School. Three more Ministry Apprentices were trained. In late 2012 Chris Nelson become the Pastor of Lakeside Bible Church. By 2013 we had turned 10 years old; we had three church plants, our Ministry Apprentices moving to Sydney Missionary Bible College, adults, teens and children finding Jesus, and many more growing in maturity. Due to building renovations, we moved from Hughes Primary to Canberra Girls Grammar School in Deakin on Saturdays at 5pm. In late 2014 Phill resigned as a Pastor in order to complete his theological studies. By mid-2015 WVBC had employed Adam Chessum to Pastor alongside Dom. After much prayer and reflection on the needs of our community, the Leadership Team decided to change our celebrations from Saturdays at 5pm to Sundays at 10am. We were reminded once again that God is sovereign over His church, and saw this move to Sunday mornings bring more into our community. By the end of 2015, we had to move from Girls Grammar, but God was good to us and we relocated to Namadgi School in Kambah in January 2016. Moving to Kambah (a suburb in South Canberra) prompted us to change our name from “Woden Valley Bible Church” to “Southside Bible Church”. In just a few months we had changed both our meeting time and day, and our church name – but the Gospel message we proclaimed and the God we worshipped had not changed, and by grace we continued to grow in number and maturity. Southside continues to reach out with the Good News message and is richly blessed with a multi-ethnic family – Chinese, Koreans, Singaporeans, Americans, Indians, Malaysians, Taiwanese, Indonesians and even Aussies! Jesus continues to build His church. In 2016-17 Southside began planting Molonglo Bible Church. In 2018 Southside employed Jayan Parry as another Pastor to serve alongside Dom and Adam. Our church family continues to grow under the sovereignty and grace of God.